Day 89 of #the100dayproject and my #realandendangered project. 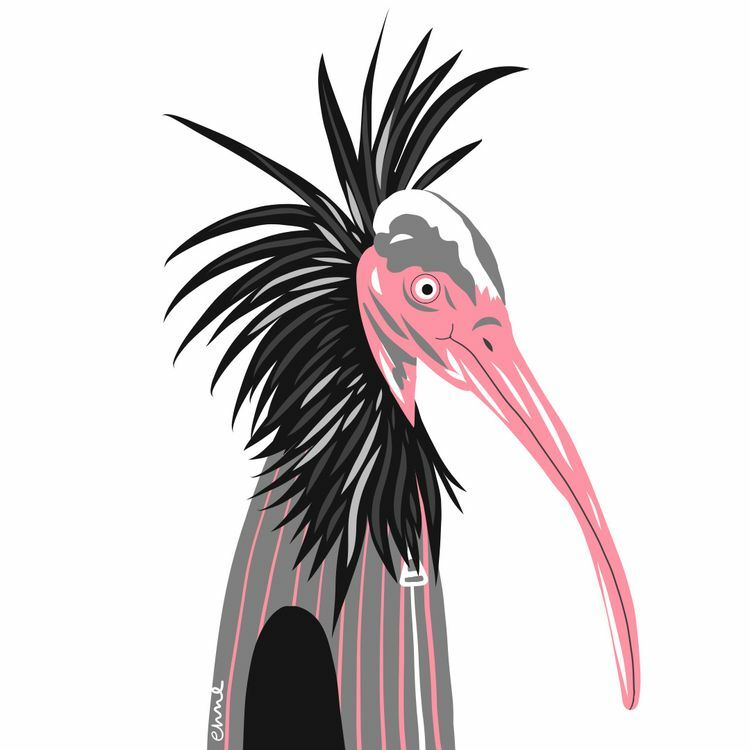 Rounding out the 80s with the Northern bald ibis (also known as the Waldrapp ibis), this is a bird now reduced to only two populations in the wild, one in Morocco with a relict population in Syria and the Middle East. Here's some more information: 1. They have a distinct look, which includes a bald head and bare red face, neck and throat and curved beak which contrast with narrow feathers on the back of the head and neck, forming a dark ‘ruff’ or crest. Glossy blueish-purple feathers (with a metallic green hue) cover the rest of the body. 2. Not only were they first described in the 1550s, but they have appeared in Egyptian hieroglyphs. 3. They prefer semi-arid steppe areas and breed on coastal cliffs. 4. Their colonies usually consist of 40 individuals. 5. Their nostrils are located at the base of the bill, which allows them to breathe even while the bill is submerged in the water.